The last stop on the D, F, or Q trains to Brooklyn take you to Coney Island. 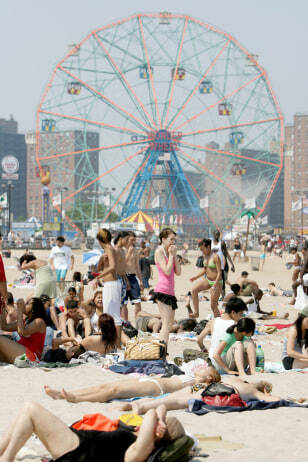 A ride on the Wonder Wheel is $6, and the Cyclone roller coaster is $8. Stroll the boardwalk, enjoy the beach and wade in the ocean for free.